Now On Sale in Our Showroom | Alcher Interiors, Inc. 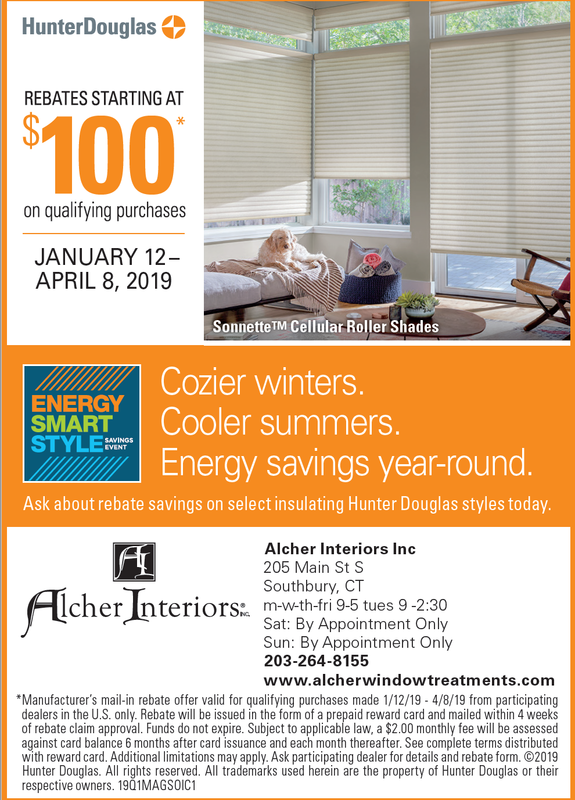 Check back for our latest ads from Hunter Douglas, Thorndike Mills and others in 2019. Not seeing a particular manufacturer’s deal? Call us at 203.264.8155 or contact us today!